Are you a pesto person? It seems that there are only lovers and haters and not many in-betweeners. I'm definitely a lover. I love it on garlic toast, pizza, spread on sandwiches or stirred into pasta. This dish is a favorite and is so quick to make. It's also a perfect dinner as the weather warms up because you don't have to turn the oven on and heat up your whole house. This dish is stupidly simple and comes together in no time at all–especially if you already have cooked chicken on hand. It’s sophisticated enough to serve to dinner guests, but familiar enough to please little ones. If you happen to have leftovers, they are delicious eaten warm or cold. 3 hoorays for versatile, quick, family-pleasing meals! Break pasta in half and cook according to package directions. 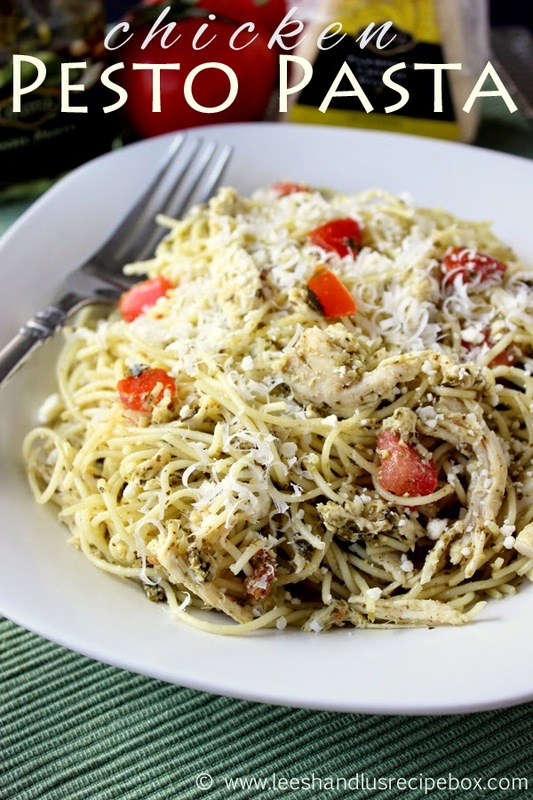 Using tongs, toss chicken, pesto, feta cheese, tomatoes, and hot cooked noodles together until well combined and evenly distributed. Serve immediately topping each serving with freshly grated Parmesan cheese. I like to get by pesto at Sam’s club in the refrigerated section by the cheeses and salsa. It comes in a giant jar and ounce for ounce is a lot cheaper than buying the shelf-stable stuff on the pasta aisle at the grocery store. I usually freeze it in 1 cup increments and pull it out of the freezer the morning I plan to use it. I am a pesto LOVER! Can't wait to try this. Also - I bought some Brianna's Ceasar dressing today to make the Chicken Caesar Sammy's! Oh good! :) Let us know how you like both dishes. We love them! 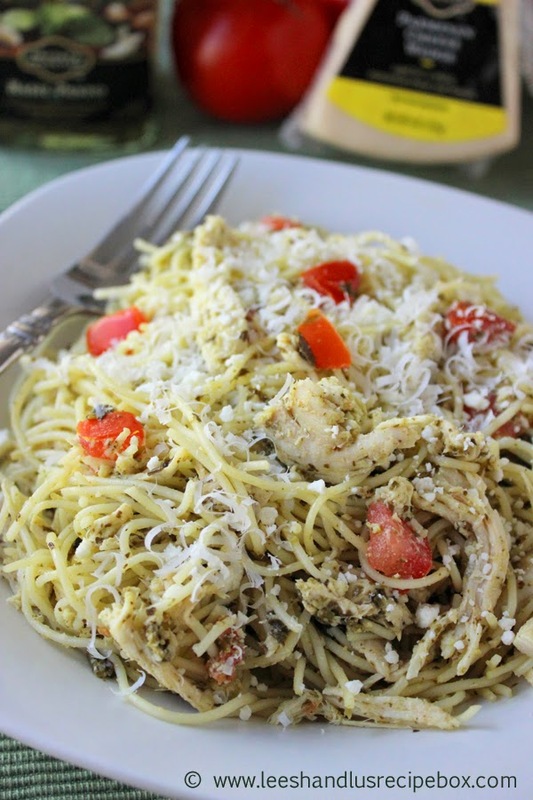 Chicken, pesto, and pasta! This is total comfort food in my book! Looks delicious!